“Learn It. Do It. Share It.” is the theme for the third annual Women in Agriculture Conference to be held at the Washington County Fairgrounds on March 23, 2019. The event is being hosted by Washington County Extension and Outreach along with the Washington County Women in Agriculture Advisory Board. The goal of this year’s conference is to show women of all ages the importance of not just learning something but how to put that knowledge into action and share it with others. 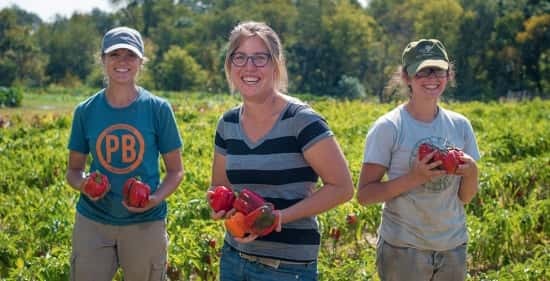 The conference will feature four speakers — Julie Kenney, Iowa Deputy Secretary of Agriculture; Erin Brenneman, local farmer who went from city life to farm life; Erin Herbold-Swalwell, an attorney who focuses on estate and succession planning and Deadra Stanton, a humorous and motivational speaker. Kenney will kick-off the conference. Iowa Deputy Secretary of Agriculture, farmer, wife, and mother are just some of the hats that Julie Kenney wears. It can be a tough balancing act, but Julie will share how the many hats she wears help her to learn it, do it, and share it. Next, Erin Brenneman, who went from the suburbs of Chicago to a pig farm in Washington County, will share her journey, what she has learned along the way, and a few easy takeaways that you can go home and use to help share your beautiful tale of farm life. Erin Herbold-Swalwell, an attorney with Brick Gentry will follow and share her passion for planning for the future with farm families. She will share tips and tools to help you make important estate and succession planning decisions and discuss recent case examples affecting agriculture. This can be an emotional topic, and communication is key to navigating and successfully completing the process. The last speaker will leave you laughing until you cry. Deadra Stanton, a humorous and motivational speaker, will share her stories of “life lessons” to help inspire you to enjoy life and laugh at life’s situations. Registration for the conference starts at 8:30 a.m., with the conference kicking off at 9 a.m. The conference will conclude around 2:00 p.m. with a networking and socializing hour until 3 p.m. which will feature local wine, cheese, and chocolate tasting. Must be 21 or older for the wine tasting. Registration to attend the conference is $25 or $15 for students. You can register by calling the Washington County Extension Office at 319-653-4811 or online at: https://tinyurl.com/WomenInAgConf2019. The registration deadline is March 15. Late registrations and walk-in registrations will be accepted based on availability. If you would like to learn more about the Women in Agriculture Conference, call the Washington County Extension Office at 319-653-4811 for more information. The conference is being made possible in large part thanks to: Iowa State University Extension and Outreach, the Azariah and Martha Foster Heritage Endowment, Hills Bank and Trust Company and other local sponsors.